Manufacturer of a wide range of products which include fire retardant chemical, hydrostatic testing corrosion inhibitor, dust suppressant, fire side chemical, thickening agent and thickeners. 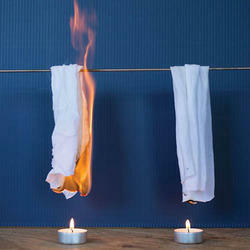 FIRELOC a unique formulation manufactured by Chemtex Speciality Limited, is a fire retardant chemical liquid for increasing the flash point of canvas, hay, cloth or fabric for safety reason. It prevents the fabric from catching fire. It can be used for hay that is exposed to rain, sunlight and heat. The fire retardant coating in such case may last for upto an average of 12 months. Re-treatment is required annually by spraying the product neat on the hay. It decreases the flammability of materials by either blocking the fire physically or by initiating a chemical reaction that stops the fire. In many locations, mattresses are now coated with fire retardant. It is used as wild fire retardants to prevent forest fire. It is commonly used in fire fighting. Chemtex Speciality Limited is an ISO 9001, ISO 14001 and OHSAS 18001 certified company that specializes in the manufacturing of Fire Retardant Chemical products. It can be used as Fire extinguishers, Forest-fire fighting, Wildfire retardants, Textiles & furniture coating, etc. Chemtex Speciality Limited manufactured product Hydrostatic Testing Corrosion Inhibitor has been formulated for preventing corrosion on Mild Steel and Carbon Steel (both low and high carbon) and in sea water rich with chloride ions. It provides excellent protection from corrosion in interior Metal Surface, Pipelines, Boilers, Vessels, Storage Tanks and other Industrial Equipment. High quantity of River and Sea Water are being kept stagnant during Hydro Testing Applications which contains various microorganisms such as bacteria, fungi, algae, etc and dissolved oxygen which generally accelerate metal corrosion. It protects metal from oxidative corrosion and also functions as a bio dispersing agent. 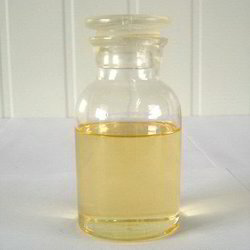 Hydrostatic Testing Corrosion Inhibitor serves as a liquid organic film forming compound for corrosion inhibition by repulsion technology and oxygen scavenging. It aids in inhibiting the formation of corrosive acids such as Hydrochloric Acid along with prevention of oxidative corrosion. Dust Suppressant is ideal for controlling dust on roads and industrial areas. It helps in increasing the surface area of water droplets, helping in covering more area and reducing water consumption. This product is extensively well-known for its unique characteristics like being eco friendly, reduces water consumption, lowers soil erosion, improvises vehicle productivity and is also easy to mix. Find below our range of Dust Suppressant. In case you still don’t find what you are looking for OR want to have more details, then please feel free to enquire us. Fireside chemicals is necessary for fireside boiler treatment to prevent fireside slag/ deposition from fuel ash parts, corrosion, and cold end corrosion.Impurities in fuels can cause deposits and metal surface corrosion. Fireside fouling of combustion equipment is mostly caused by the deposition of fuel ash components. Compounds of aluminum, barium, copper, iron, magnesium, manganese, and silica have all been used to control combustion fouling and corrosion.Fuel ash corrosion in high-temperature areas can cause extensive boiler damage. The corrosion is caused principally by complex oxide-slags with low melting points. Corrosion by slag components advance rapidly between 600 to 900 deg C.Chemtex's Fireside Chemicals are a fuel conditioner products and help address problems associated with all pre-combustion, combustion, and post-combustion. A thickening agent is a substance which can build up the viscosity of the fluid without generously altering its different properties. Thickening Agents are used as a part of paints, inks, explosives, and beauty care products.Thickening Agents may likewise enhance the suspension of different fixings or emulsions which build its stability. 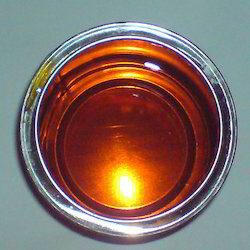 Some thickeners are gelling agents (gellants), framing a gel, dissolving in the fluid stage as a colloid blend. In petrochemistry, gelling agents or solidifiers are chemicals equipped for oil spills and framing elastic like solids. Does not interfere in the chemical properties of the aqueous formulations. 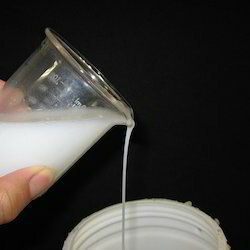 A thickener is a substance which can build up the viscosity of the fluid without generously altering its different properties. Thickeners are used as a part of paints, inks, explosives, and beauty care products. Thickeners may likewise enhance the suspension of different fixings or emulsions which build its stability. Some thickeners are gelling agents (gellants), framing a gel, dissolving in the fluid stage as a colloid blend. In petrochemistry, gelling agents or solidifiers, are chemicals equipped for oil spills and framing elastic like solids. Chemtex is involved in the manufacturing of various range of processing chemicals. 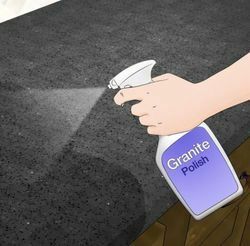 This includes etching chemicals as well, such as marble etching chemical, granite etching chemical, glass etching chemical, etc. Etching is referred to the traditional process of using strong acid to cut into the unprotected parts of a metal surface to create a design in the metal or any other substance. 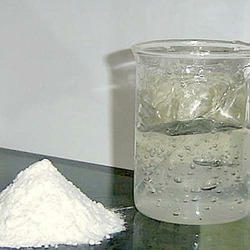 Marble Frosting Chemical, offered by Chemtex, aids in creating prints or design in the marble. These chemicals are formulated with a blend of strong acids that help in the frosting process. 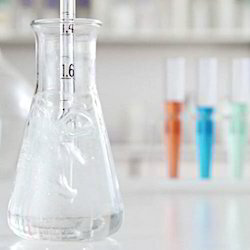 • Does not interfere in the chemical properties of the aqueous formulations. Looking for Performance Chemicals ?